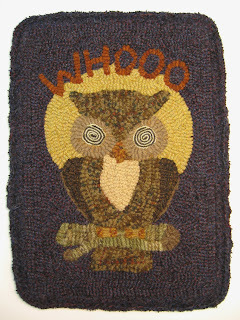 Have you seen the latest issue of Rug Hooking Magazine? If you haven't, you are missing my article on quilly eyes. It features my little owl, instructions on how to make the eyes, and you can even use the free pattern, Who's There. The colors in my mat are much more vibrant than the picture, especially the background which is a deep purple. I'll be bringing this little mat to display in my booth at the ATHA biennial so stop by and check out the original. 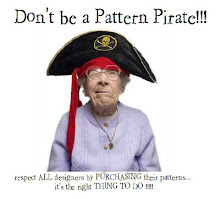 Click here for a link to Rug Hooking Magazine's web site. If you have read the article, let me know what you think. 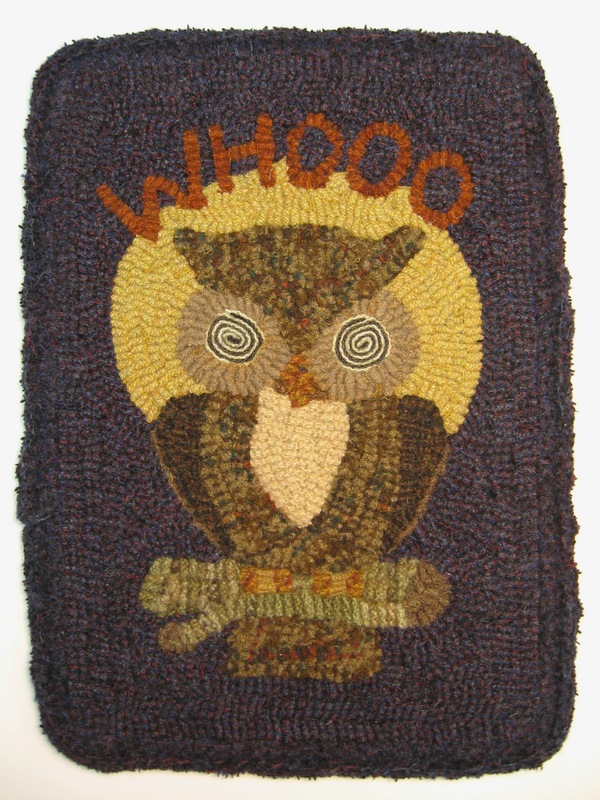 Will you try quilly eyes in your next Halloween rug? I haven't been current on my posting because my life is moving at the speed of light right now...but I do have some great photos to share. Here are the Blog Challenge Girls at Sauder Village. 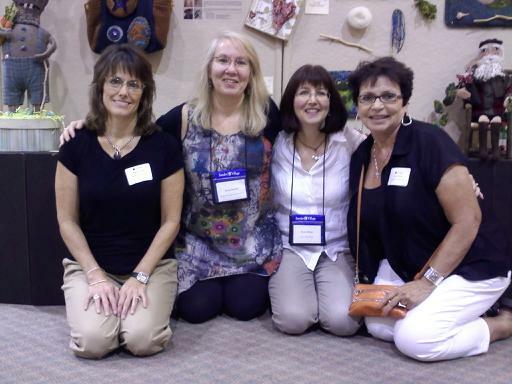 We're posed in front of the display of our pieces. What an honor to have my work in the same room with Patty Yoder and Magdalena Briner! It can't be any better than that.